Feeding and letting out the chickens in the morning is normally a pleasant ritual. But today I opened the roost door to find four live chickens and one chicken lying very still, beak just ajar. I knew straight away that it was Pandora, the little chicken who never quite fitted in to the flock. 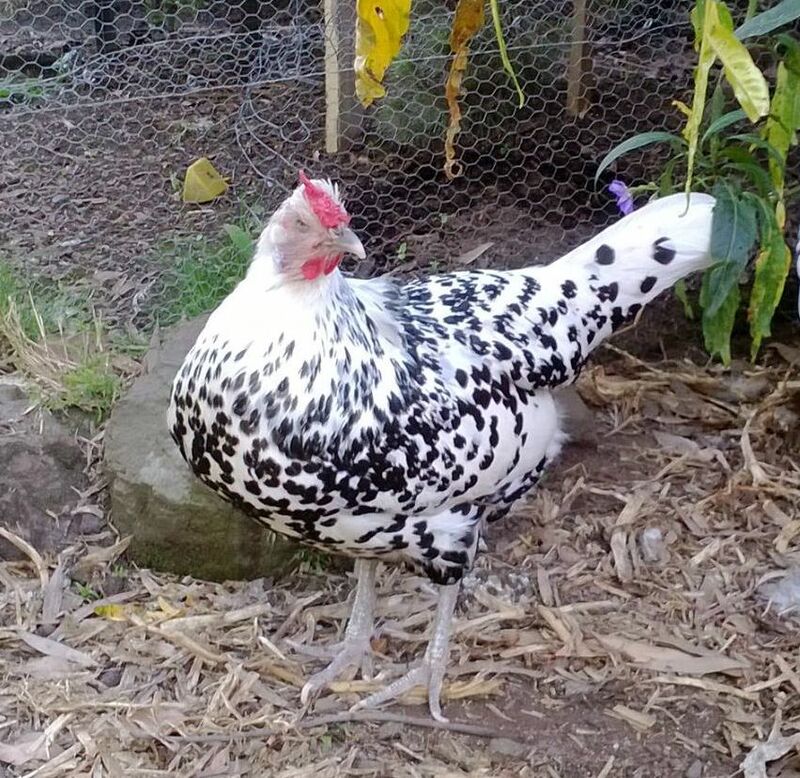 She was a little black and white spotted Hamburg, given to us a year or so after the others. I thought she’d be a friend for our other Hamburg, and that they’d team up together against the big pushy Wyandottes. But Paloma preferred the company of Edna (Dame Edna), the boss chook, so Pandora spent much time alone, although there were a few moments when she fitted in. Edna would let her snuggle up on one side on the coldest nights, down in their roost. There was no marks on her this morning, so most likely her heart gave out, or her body just gave up. She had struggled against fate, being attacked by our two dogs only a few days after we adopted them. Despite being held head-first by the 45kg Tillie, who luckily had no idea what she was doing, 1.5kg Pandora escaped with just a few scratches around her right eye. But it did get infected, and she spent more than a month recovering in a large cardboard box. Which was inside our house, in our spare bedroom in fact! It was just easier that way to make sure she was OK, and we were right in the middle of a blistering heatwave. She somehow survived this, but her eye never again opened properly. She lost her depth perception, developing a strange high-stepping walk and needing to be fed separately each morning to ensure she got enough food. She had to have lettuce pegged to the side of her pen to give her the green food she couldn’t forage for herself. She would get so excited when I gave her the lettuce, jumping and chirruping in anticipation – something I looked forward to as well. She managed a good life, and even somehow produced a few eggs about ten months after her injury. 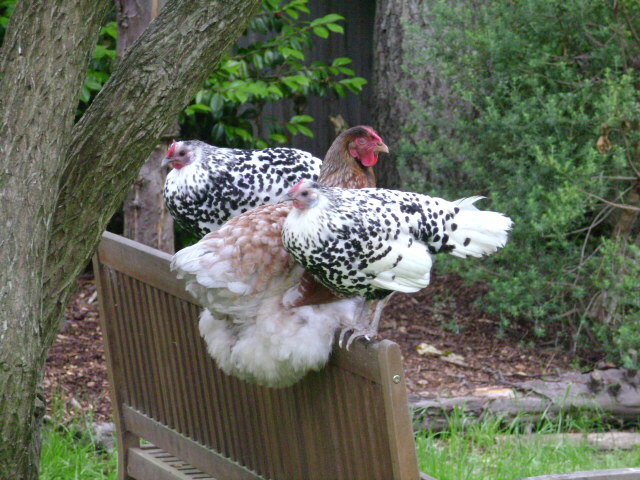 This entry was posted in Animals and tagged chickens, chooks, death of a pet, Hamburg, Wyandotte. Bookmark the permalink. I’m so sorry to hear of her passing, Carolyn. It’s heartwarming how much love and affection you have for other living beings. God bless!